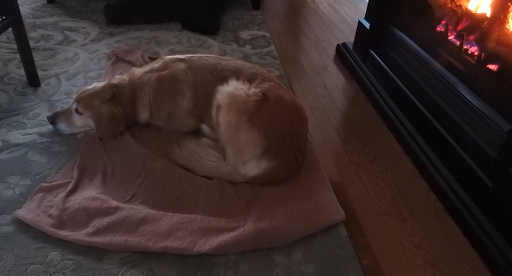 Seasonal affective disorder, SAD, is a yearly visitor at my house. I miss the light this time of year and want to retreat from social occasions. I lack enthusiasm and energy for regular events, could stay inside for weeks and never feel the desire to venture out. 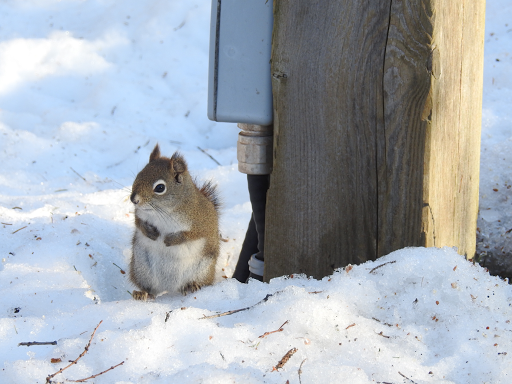 But, in spite of myself, I have embraced the outdoors this winter. 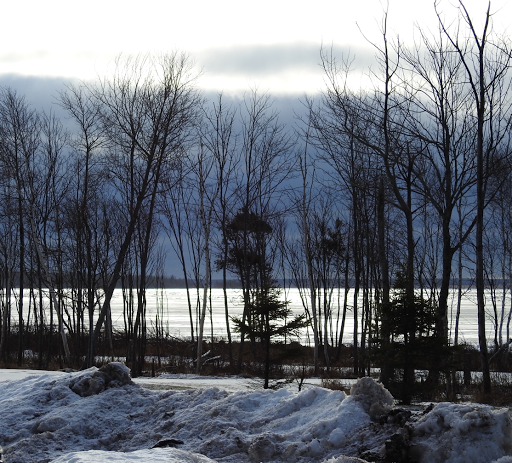 On a gray January day, light has a quality of twilight which has always been my favourite time of day. However, it feels wrong all day long. This winter though, I have spent more time outdoors than in recent years and appreciate winter light. The quality of the light, depends on the cloud cover, or lack of it. 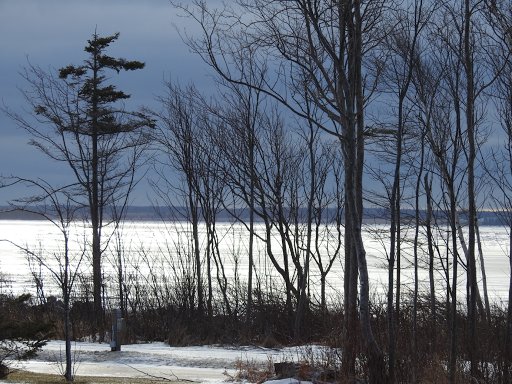 The light reflects off the whites of the environment, the snow and the ice on the harbour. With massive blue-gray clouds, reflected light creates magic. 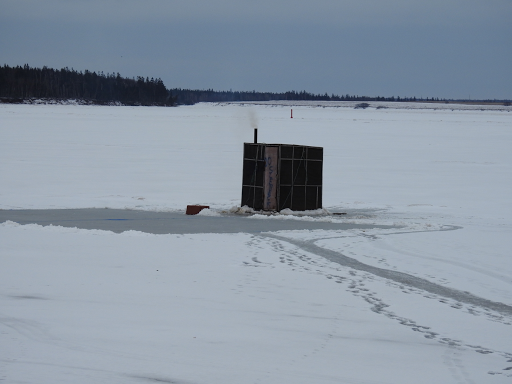 Further down the boardwalk on this day, the young man who owned this smelt shack, had to dig his shack out of the ice. The quality of the light was unusual, but beautiful, for the mid morning hour. We are six weeks from the time change which heralds the approach of spring. The vernal equinox is less than two months away. While we can have a great deal of winter in that time, I can see an end to SAD and a return to the fullness of life outdoors. Meanwhile, I'll appreciate that winter light in spite of myself. The sky was low, gray and heavy, the kind of day when it feels like the ceiling is just above your head. 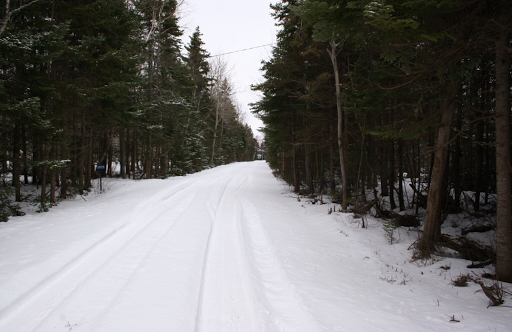 It was -1C with a breeze making it colder as we parked the car and walked the old dirt road to MacCallum's Point. 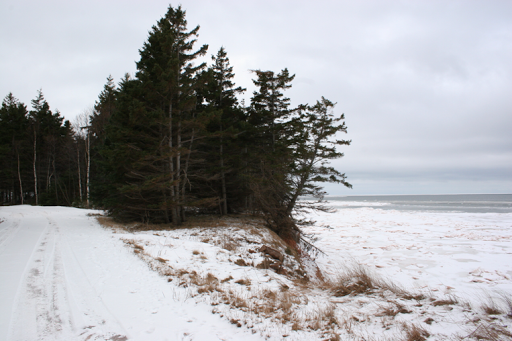 The area is in Lower Bedeque, across the harbour from Summerside, Prince Edward Island. 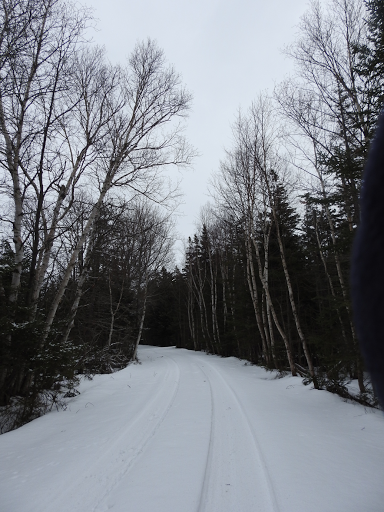 It was quiet except for the sound of snow under our boots and the clicks of our cameras as we walked along. At road level, we couldn't feel the wind, thanks to the protection of the trees. 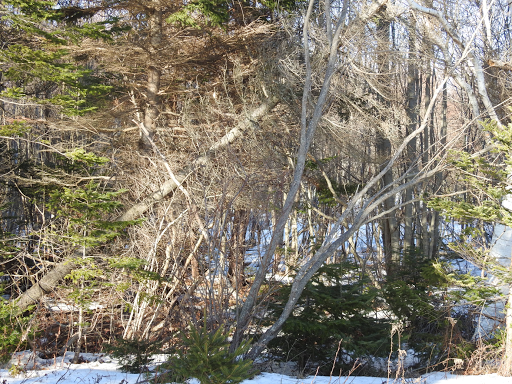 and all the branchlets, covered with leaves in the summer, are visible this time of year in all their intricate glory. Overhead, a hawk circles and floats on the breeze. Further on, an owl crosses the road numerous times in pursuit of food. The birds are busy hunting. 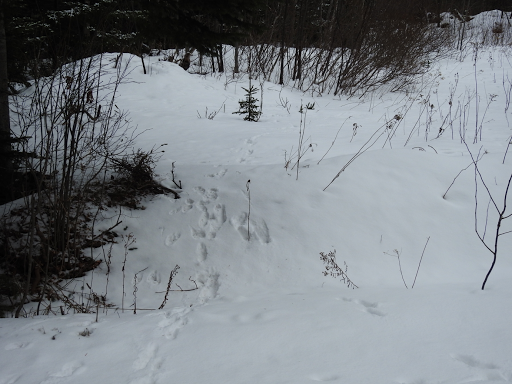 The snow shows rabbit activity, with footprints in and out of the trees on either side of the road. No wonder the birds are so busy. However, raccoons are busy in this area as well. 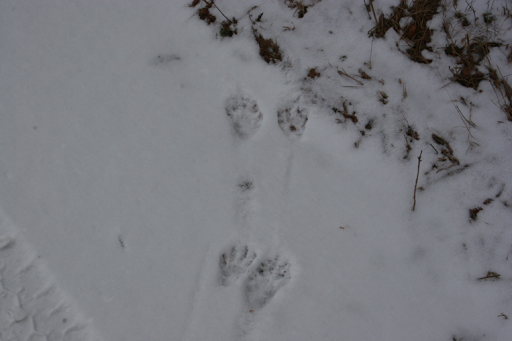 Fox tracks are common too. Predators like this area. 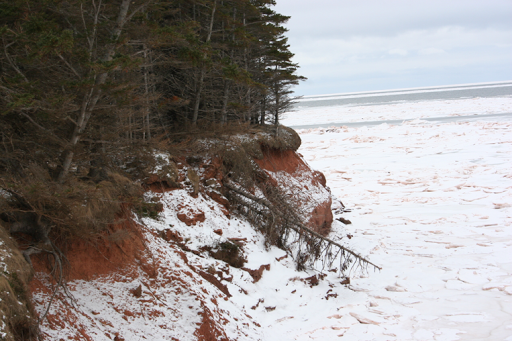 MacCallum's Point opens before us, red cliffs of sandstone on the edge of the ice-covered shoreline. 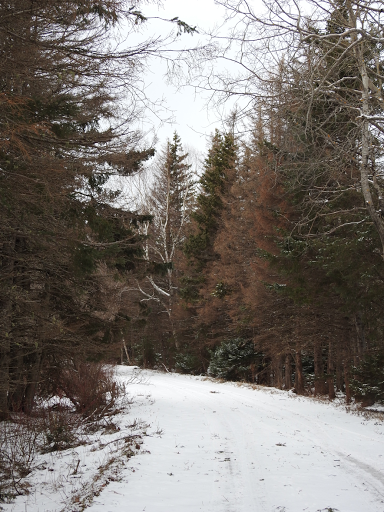 Here, the full force of the wind hits us as we leave the shelter of the trees. 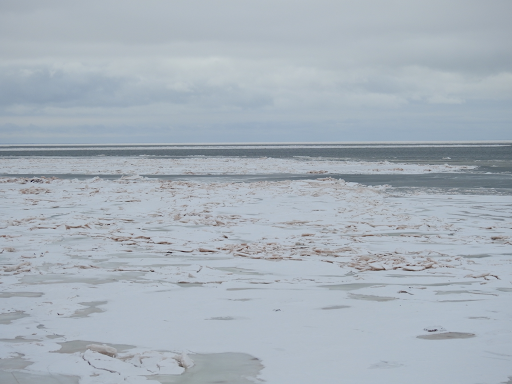 Bedeque Bay and Northumberland Strait beyond have open water in spite of the bitter cold. As we take pictures our hands become numb! Our visit is a short one. But I have promises to keep,"
after a cup of hot chocolate. 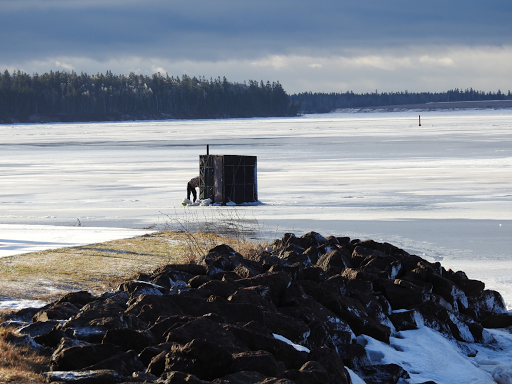 This time of year, when the harbour freezes, the smelt shacks appear on the ice just off-shore in Summerside, Prince Edward Island. 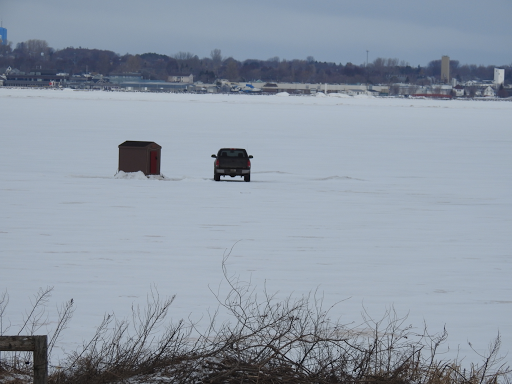 They look like tiny sheds or out-houses, driven onto the ice by brave residents, willing to take the chance on the ice with their vehicles. 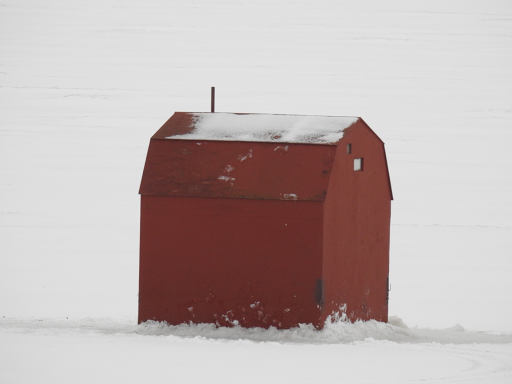 The goal is to fish for smelt through the ice in the relative comfort of your shack. 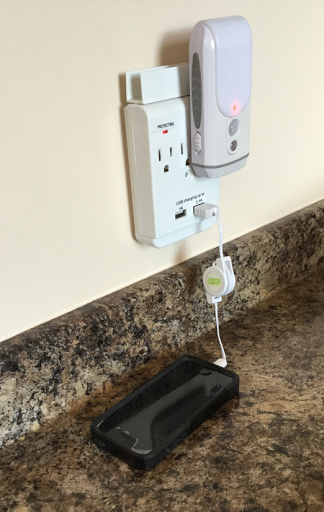 making longer fishing excursions possible. 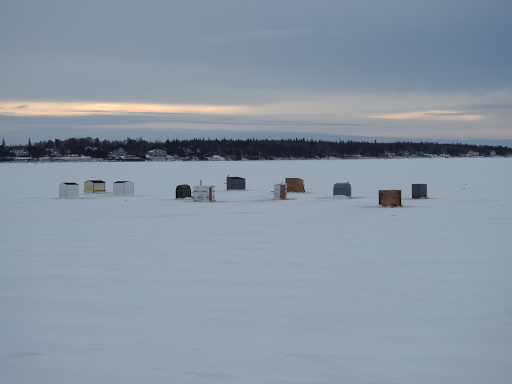 At various places around the harbour, villages of these smelt shacks are usually busy over the weekend. 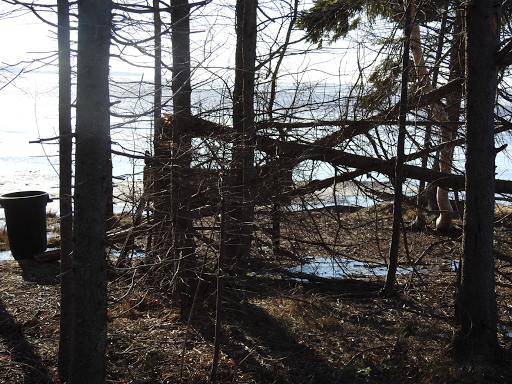 Last Sunday, we walked by the bay to get a closer look at the shacks. I questioned one man walking back home about one hundred meters away. He'd lit the fire and scraped the ice in front of the shack, making a hockey rink for his kids. They had their day planned. This young man grew up in Summerside, and fished for smelt since his youth. He spears the fish, rather than use a line preferred by some. He fries, bakes or smokes them, but eats them as sushi as well. 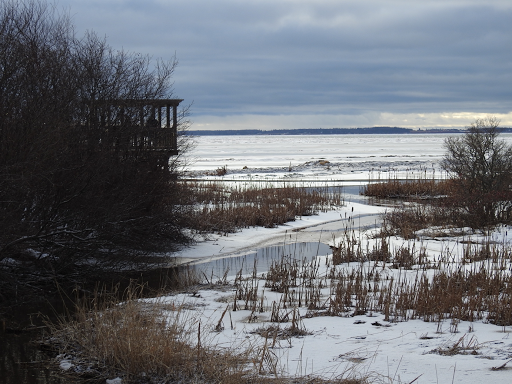 The smelt fishery occurs late fall or through the ice in winter when the fish are at their best. When smelt are spawning, they aren't as tasty and a fishery at that time would affect the stock. This wonderful tradition is one of the reasons I love our island home. However, you couldn't pay me enough to drive onto that ice. 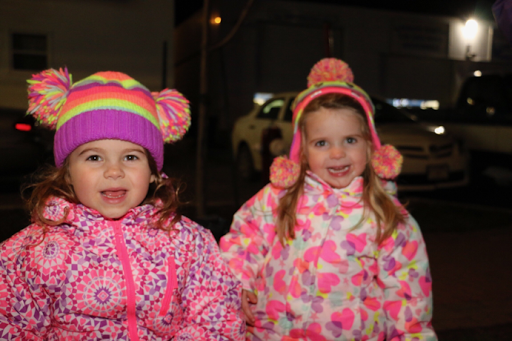 Our granddaughters sat in the back seat and discussed their day as we drove home. Caitlin, three, had been at day care. She told her sister about the police officer who visited that day. She related how he caught the bad guys and kept people safe. Sylvie, five, asked her sister numerous questions about the police officer and his work. Finally she asked, "Did he bring a bad guy for you to see?" Wouldn't it be great if we could easily tell who the bad guys were? It's never that easy. In the dynamics of relationships, how do we teach our girls to recognize the bad guys? They need to know the warning signs, the possessiveness, the imposed isolationism, the resentment, the sense of superiority, the jealousy, to name a few. It is not as easy as spotting a certain look. The girls must learn everyone has dignity and deserves respect, which includes them. We taught our daughter these lessons years ago and as a parent, with her husband, she will do the same for her girls. We will support them in this work, as our parents supported us. 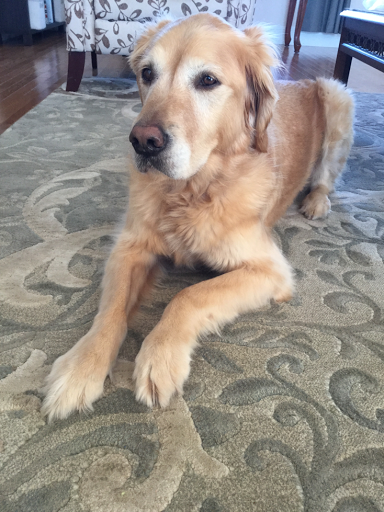 As we listened to our granddaughters, the weight of the work ahead felt overwhelming. But, that work has begun already with how we, the adults in their lives, treat them and each other. However, we cannot do it alone. Tomorrow, women around the world will march to highlight the need for equality and respect. Attitudes and actions must change and it starts with each of us. Our children deserve better. 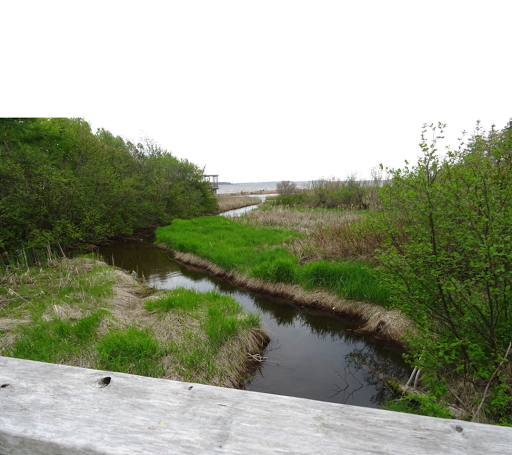 A stream flows under the boardwalk into the harbour of Summerside, Prince Edward Island. One can pause on that bridge and look out to the harbour. Squirrels and birds stop there as well. 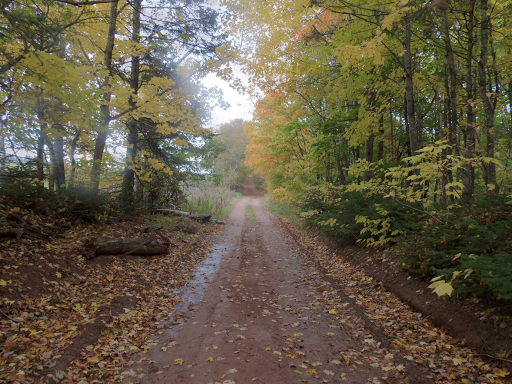 While the setting doesn't change, the scene looks different throughout the year with colours indicative of the time. I love all of them. Which is your favourite? It has been bitterly cold with temperatures in the minus teens and windchills of minus thirties Celsius. It is a damp cold that feels as if it cuts to your bone, going through jackets, hats, mitts and pants as if you were naked. 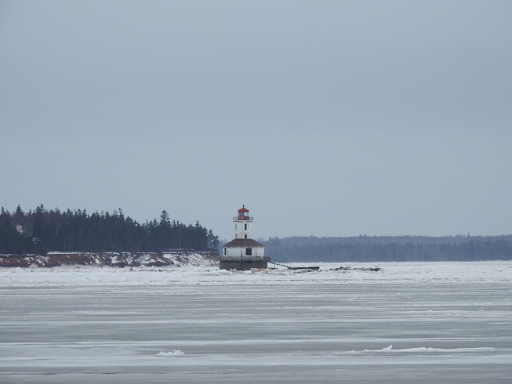 However, I couldn't resist a visit to see if the harbour was frozen. 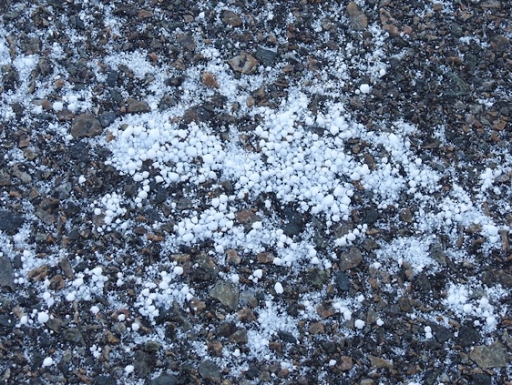 In the few minutes I was there, my hands felt close to frostbitten. 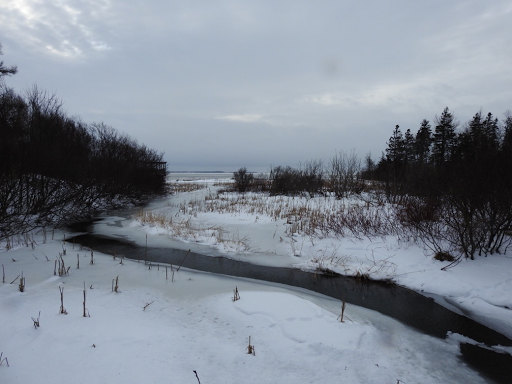 Last Friday, January 6th, I posted this picture of the harbour channel, taken the previous day. As of Wednesday, January 11th, this is the harbour channel. Meanwhile, the temperature has risen and will be near 5 degrees Celsius for several days. 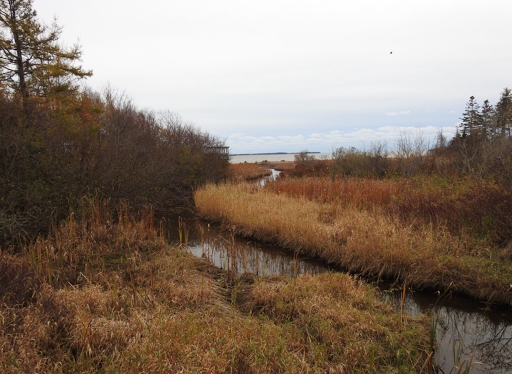 There may be open water again. 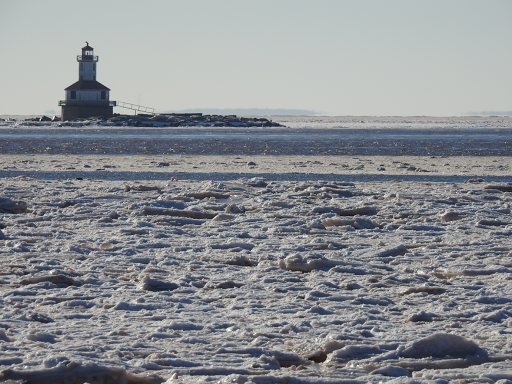 There is often a January thaw but this year, another freeze and thaw cycle is forecast. We live in curious weather times! Labels: freeze, harbour ice, Prince Edward Island, Summerside, thaw. 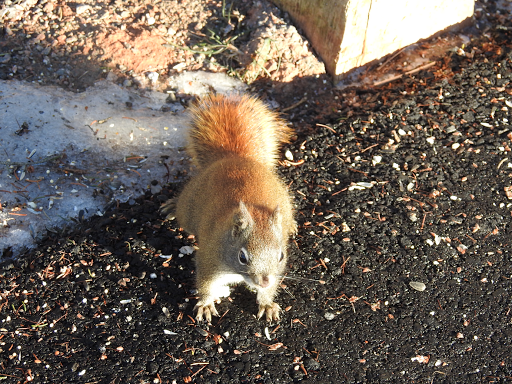 The animals that live along the boardwalk in Summerside, Prince Edward Island, are admired by the many walkers along the trail by the harbour. During the work day, retired citizens frequent the trail, often stopping to watch the animals and speak about them. 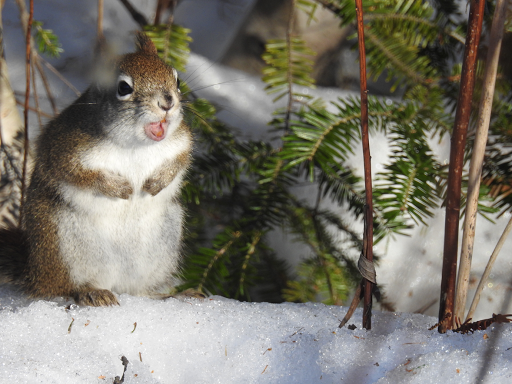 On one of our recent visits, people were concerned about an area of the trail which, up until recently, was a favourite haunt of squirrels and numerous other animals. 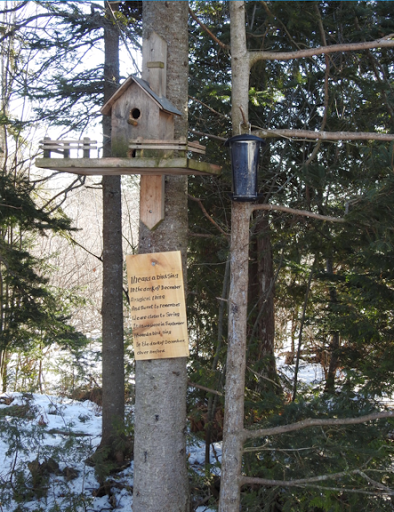 Finally, one gentleman came along who reported about a white weasel that had taken up residence in this area, causing the regular residents to scatter. 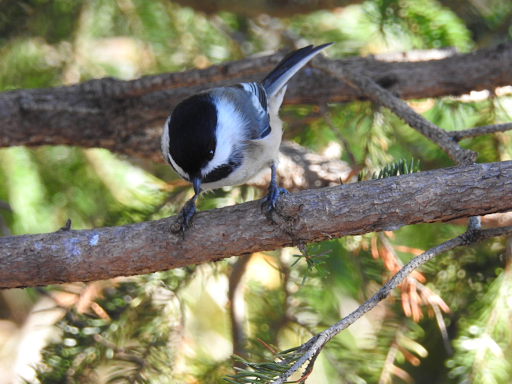 and chickadees where none had lived before. and would have stayed to watch them if we had not coached her along. 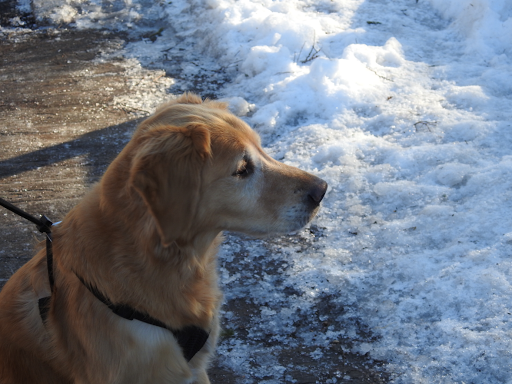 The squirrels, accustomed to leashed dogs, ignored her. 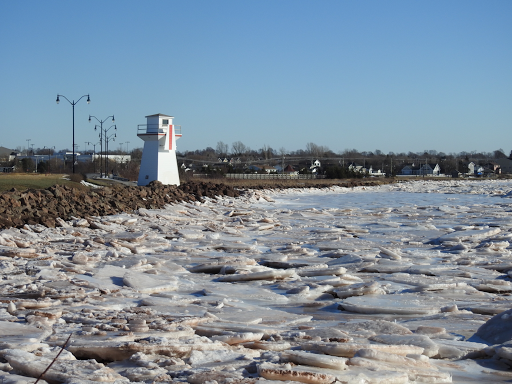 The ice in the harbour at Summerside, Prince Edward Island this time of year is fascinating. 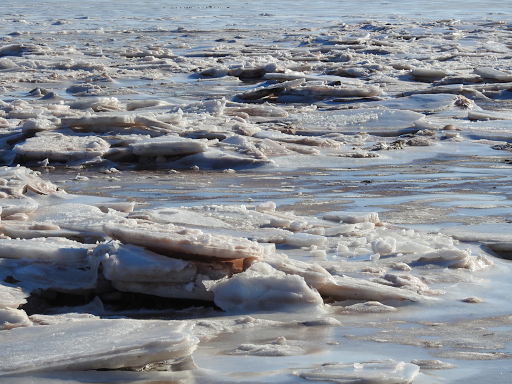 During our last walk there this week, ice was left behind by the retreating tide, aground and fractured. 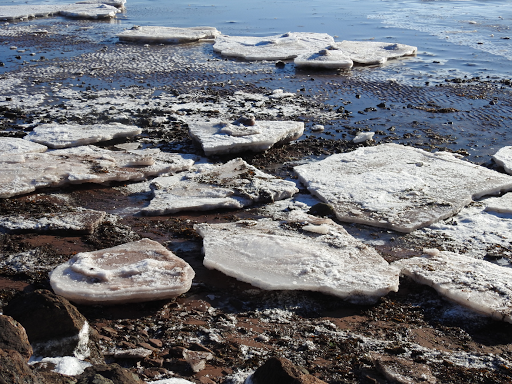 Pans of ice are piled on each other in places and have a hint of red colour from the island sand. They abut the shoreline near the range light and the beach along the inner part of the harbour. 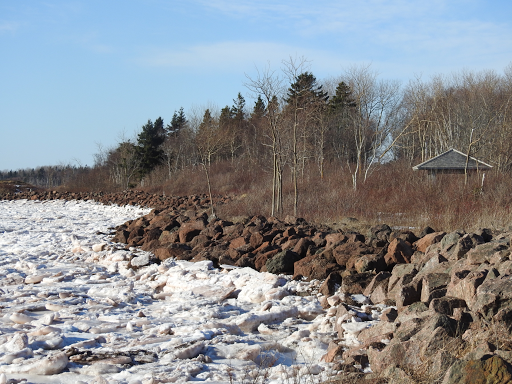 The ice stands out against the red rock which prevents erosion along the shoreline. Meanwhile, further out in the harbour, along the shipping channel, there is open water. 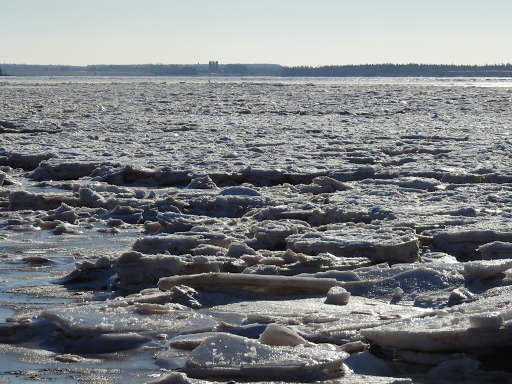 The port has been busy this week ahead of the freeze up of the Northumberland Strait. Soon all will be frozen for another winter. 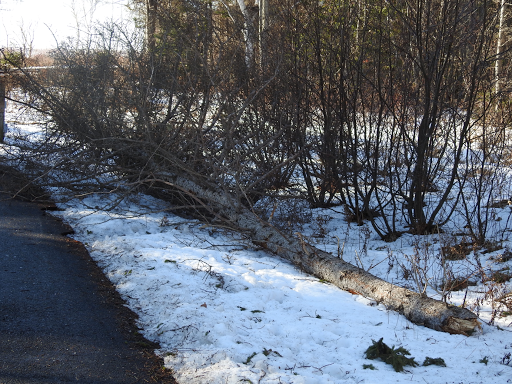 We had a wind and rain storm last week, with sustained winds over 100 kilometers an hour. We lost shingles from the roof and siding off the shed. Our neighbourhood is strewn with bits of shingles as roofers make repairs before the next wintery blast. 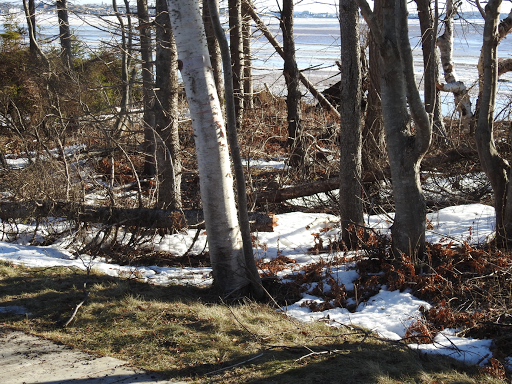 The boardwalk has been cleared of debris but the greenbelt has not and the damage is obvious. 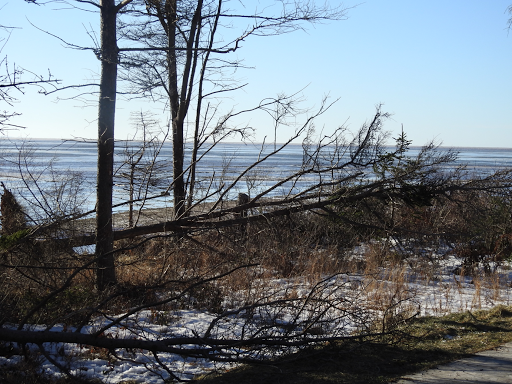 I fear there will come a day when the boardwalk will not be lined with trees because all will have been destroyed by high winds. We have another wind and rain storm today. 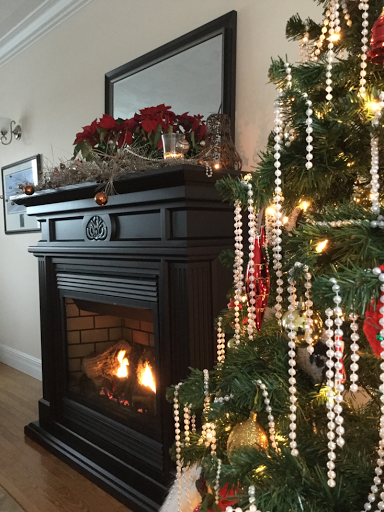 or to sit peacefully in the evening, with the Christmas tree lights, the fire and a few candles lighting the room. The evening is a great time for reflection, to consider the past year and whether to make changes for the year ahead. In the last year, it surprised me to discover things about myself I did not realize. It is as if my conscious mind caught a glimpse of the self my spirit always knew. 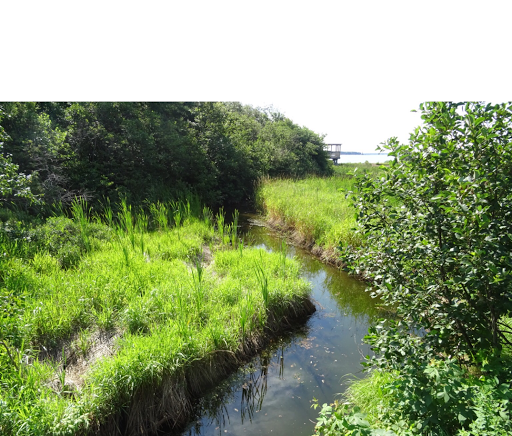 My husband and I spent time this year exploring places new to us on our island home of Prince Edward. After the tourists left, the trails, beaches, and heritage roads were empty. We didn't meet another person during our explorations, as if we were alone on the planet on these occasions. At such times, the stillness of nature will envelope you if you permit it. Allow it to enter and you become one with the breath of the earth, the rhythm of the living world. The cycle of life from new to old unfolds all around you. A river or stream babbles so as to report its delight in its condition and by its motion reaffirms the cycle. We have walked busy streets in various cities around the world, such as New York, London, Sydney, and Paris. We enjoyed the hustle and bustle on the streets, the opportunities to explore and experience new things. We may do it again. 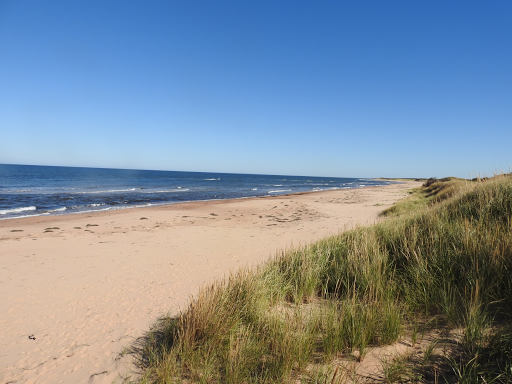 However, I have learned that for me, nothing compares to the feeling which comes with time in nature, walking a trail or beach and sharing a beverage, often a thermos of tea, with a loved one. The tea is almost a sacrament, a symbol of the serenity which bathes the body and inspires the soul. 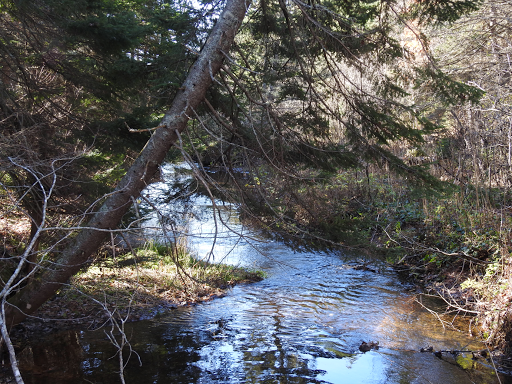 The air is fresh, and the sounds of the water, the birds, the wind in the trees all soothe the mind and body. Self discovery is an important part of aging. Better late than never.